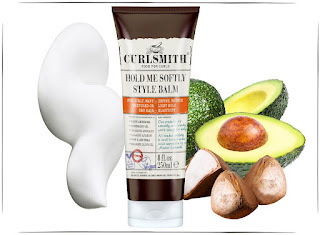 Curlsmith have long been one of my most favourite brands and i am so excited that they seem to keep on expanding! I was first introduced to them when i sent a message to curl guru Felicia (hif3licia) asking for help with my crown section which was forever misbehaving. Curlsmith was one of the brands that she recommended i try to combat this problem. I of course checked them out and purchased two of their products Oil-in-cream and the Souffle and you can check out my review of these products on my blog by clicking the links down below. They are products that i regard as holy grails and i have to have them in my collection all the time as they never let me down. Being in the UK i have to wait a little longer than my american curlies when new products launch, which means i get to see the amazing results they create before i buy them. As soon as i saw the launch of two new products i was right in their DMs to ask when they would be available here. They must be sick of my checking up on when i get my hands on them by now haha. This memory reactivator is the one that got me the most excited out of the new products. I had to have this one and i had to have it now. I always let my wash days stretch to at least 7 days if not longer, and it is always nice to give it a little boost a long the way. This spray did not disappoint. It is creamy enough that if you didn't want to spray it, you can spritz it into your hand and scrunch into your hair instead, which i found was a great way to ensure that the ends got just as much love and attention as the length of my hair. Carry the same gourmet look and fresh scent as the rest of the products in this brand, it could easily fool people into thinking you was on day 1-2 hair all the way through to day 6-7. Would i buy this product again? oh god yes! Once again i am not let down by this brand with this one. Another brand new product from Curlsmith comes in this styling balm. It takes on the feel of a cream or lotion, quite similar to the oil-in-cream but thicker. Where the oil-in-cream acts more as a leave-in conditioner, this one is best used as a second styler and does magic when used with the reactivator. It comes in a squeeze tube which is different from other products by this brand, who usually favour a jam jar style tub. I used this on damp hair freshly washed the first time, and the results were great! My curls were so soft and bouncy without any frizz at all. The second time i used it was on day 3 hair after using the memory reactivator to dampen sections, and i found the results were just as great. Again the same gourmet feel is present in the packaging of this one, and the same curlsmith signature scent which the products all carry. Would i buy this again? Yes. I am obsessed with this brand! 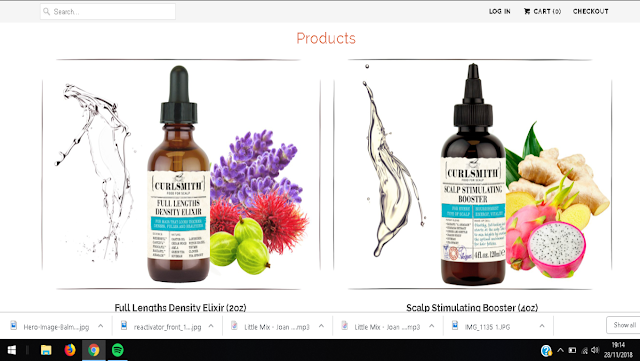 Nothing has been a let down out of the products i have tried and i can not wait to try more from them, as they continue to expand their product range. At the moment Curlsmith have also released 2 more products which i am too excited to be able to get my hands on, but for now i have to wait a little longer and get envy from other curlies using them. 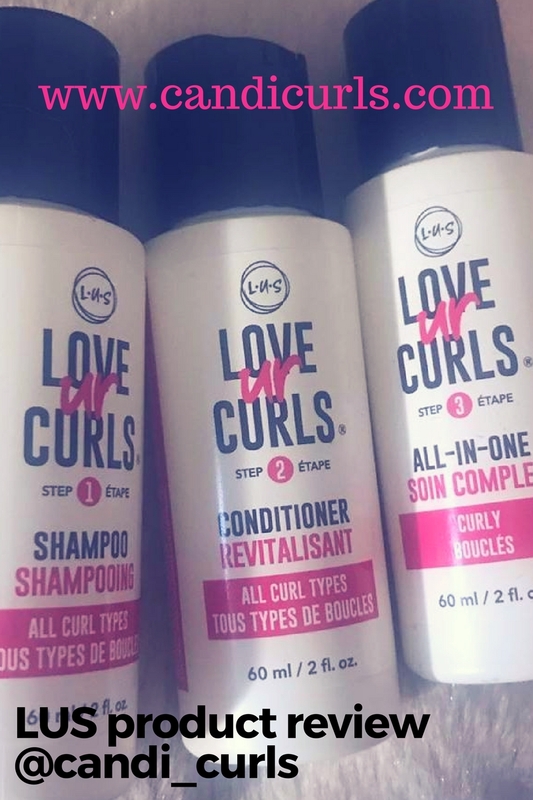 For my US curlies out there, you can now get 2 even newer products from curlsmith. This is a brand new oil from Curlsmith which is designed to help give you longer, thicker locks! This oil is to be used in the morning (with the Elixir being done in the evening) and is a booster to help with growth as well. These two combined have been shown to give some amazing hair growth! Check out the website for before and after photos of those lucky enough to have been chosen to test these out. If you are a curly from over the water then please please contact me on the form below or via the form on my homepage and tell me all about your experiences with these new products.